The Italian resort of Sestriere, located near the border with France, is one of the 9 cities that hosted the 2006 Winter Olympics. This event gave a powerful impetus to the development of the resort: the infrastructure of Sestriere has been completely renovated, recognition has increased, and the flow of tourists has grown. Although the most of vacationers are, as before, the Italians themselves, who like to come here for the weekend - to skiing and relax. The resort lies at an altitude of 2035 m, which provides excellent snow and a long ski season - from December to April. 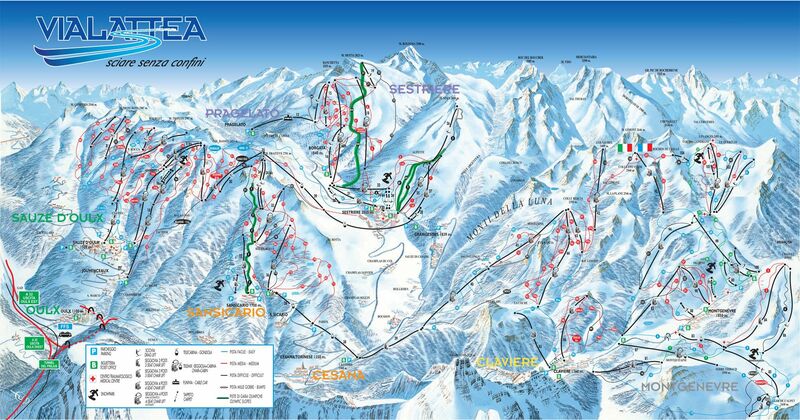 Sestriere is the main resort of Italy's largest skiing area Via Lattea ("Milky Way"), which has about 400 km of trails. In the centre of the town, there is a sports complex Palazzetto Dello sport with a swimming pool, a sauna, courts and a climbing wall. Also in the resort of Sestriere in Italy, there is an open skating rink, cross-country tracks, a dog sledge centre (next to the Fraiteve ski lift), snowmobile rental. The resort is located almost on the border with France so that for a change you can drive by car to the lively and famous French Three Valleys or the resorts of Les Des Alpes and the Alps d'Huez. The journey will take no more than two hours. It will be quite easy to get to Sestriere via the train. The nearest train station to the resort is Oulx. Apls2Alps gives you a strong guarantee of the lowest possible ski-transfer price on any our destinations throughout the season. We always take into account any specific need of our clients individually, so you can count on us surely. Choose Alps2Alps for your ski transfer and get the best possible value for money every time of the season. All of that will only lead to the fact that our base-rate for ski transfers going down. Remember, that even during the peak of the season we never overstate our prices. Also, Alps2Alps offers significant discounts for the trips in the low season or in the middle of the week. For example, we offer midweek prices (on working days) with up to 60% (!) discounts than weekend prices. Your final transfer quote will also depend on such factors as vehicle availability, transfer schedule, vehicle utilisation, road tolls and parking charges at the airport. One more thing you should notice: please, don’t delay to contact us, if you have some additional requests. Just get in touch directly so we can discuss your needs. 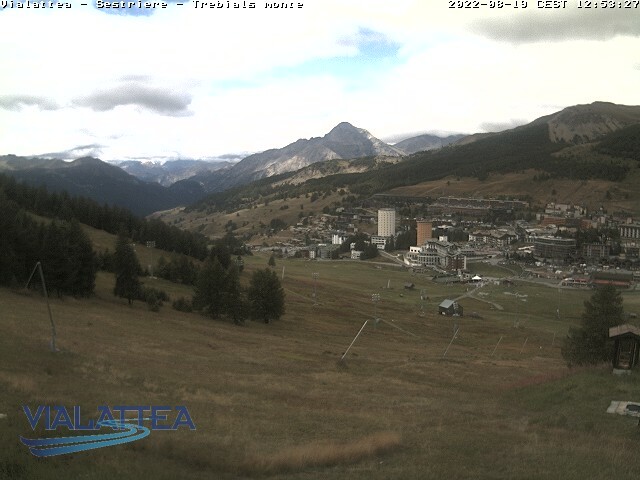 In Sestriere most of the local slopes are oriented to the north-west, their height is from 1840 to 2820 m, and the snow cover reliably for most of the season even without artificial snow, which is used quite widely. Sestriere is interesting for experienced skiers, they like the steep slopes on the upper slopes of both sectors and excellent off-piste skiing in a number of directions of Sizes and Fraiteve. But for beginners, there are also excellent opportunities: several playgrounds and light, gentle slopes in the lower part of the slopes of Banquette - the main "highlight" of this region. It is covered with a network of snow cannons on all routes, set every 15-20 meters, there is always a lot of snow. This relatively young resort has everything you need for sports and relaxation after skiing. At guests' disposal, there is a modern indoor sports complex with tennis courts, a gym, saunas, a swimming pool, a Turkish bath. In the evening in the centre of the city runs an illuminated ice rink. For the 2006 Olympic Games, a new swimming pool with two compartments is opened: outdoors and under the roof. Sestriere has all opportunities for wonderful family holidays. Besides, there are three outstanding ski schools - Scuola Sci Vialattea Sestriere being perhaps the most famous of all. We always recommend our customers to book ski transfers in advance for getting the best shares from our company. Don’t have doubts to get in touch with our customer support team if you can’t find the resort or the service you need on our website. Pack your bags and provide your trip to Sestriere with the best possible start with a little help from Als2Alps!